Celebs enjoyed some quality time with their kids this week! 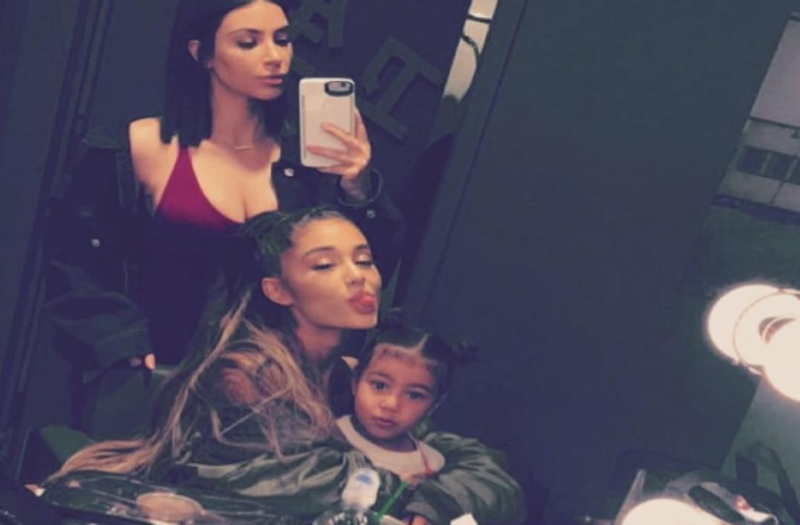 Kim Kardashian took daughter North West to the Ariana Grande concert in Los Angeles this past weekend, and they took a selfie with the singer backstage. Reese Witherspoon soaked up the sun with her look-alike kids in the Bahamas, Kourtney Kardashian brought her tots to Jurassic Park and Cindy Crawford his the Fashion Los Angeles Awards red carpet with her model kids. Elsewhere, Gigi Hadid played an April Fools joke on her fans, jokingly announcing that she had cut all of her hair off with a misleading photo, her sister Bella showed off her bikini bod while on vacation with friends and Britney Spears wished her sister, Jamie Lynn, a happy birthday. More of the best celebrity Instagrams this week came from Amy Schumer, Kendall Jenner, Nicole Richie and Katy Perry. So proud to be on the cover of @instylemagazine! Thank you @laurabrown99 for the opportunity,@carterbedloesmith for confirming I'm a Hadid, @kimmykuppkakes for hair, @andrea_tiller for makeup, @cristinaehrlich for styling @jessseinfeld for interviewing me! Happy birthday to my baby sister @jamielynnspears 💙💙💙 she's an angel! !